Sugar & spice & everything nice especially while camping this summer. This toddler’s ready for Hershey’s S’mores! Gone Camping. $470 – firebox.com LOVE this VW Camper Van Tent! 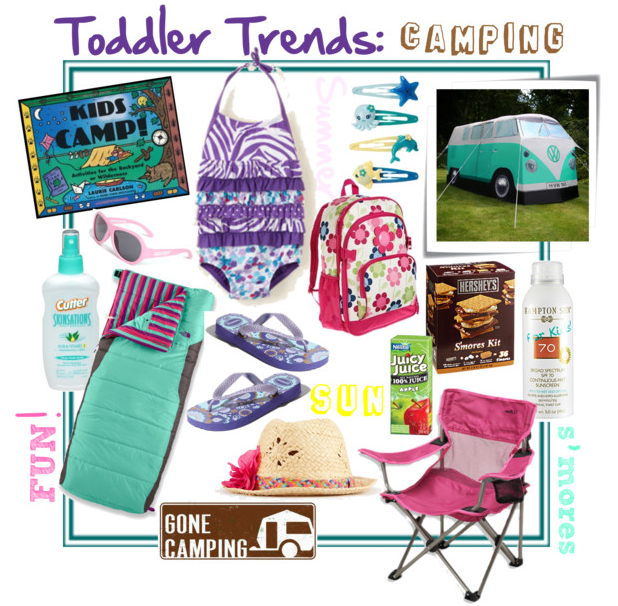 This entry was posted in "Fieldtrip", Carseat Dancers, Fashion, Toddler Trend Tuesday, Toddlers and tagged Camping, fun, summer, tent, VW. Bookmark the permalink. 4AM- Found Goldilocks sleeping in my bed! How old were your kids when you took them camping for the first time? Did you camp in your backyard first to get them ready? I just noticed this question. Whoa! Real camping: ages 3 & 4. Just went for the first. We camp at the beach, in CA, & I was nervous wreck but it all turned out okay. Actually, we’re going again this Friday.